“I have always liked the vintage Gold Stars. In the late 70s and early through mid 80s, they were (in my opinion) the best banjo available for a reasonable price. One model that was particularly attractive to me was the GF-100 W (wreath). Perhaps that was due to Tom Adams playing one for several professional groups that I enjoyed. 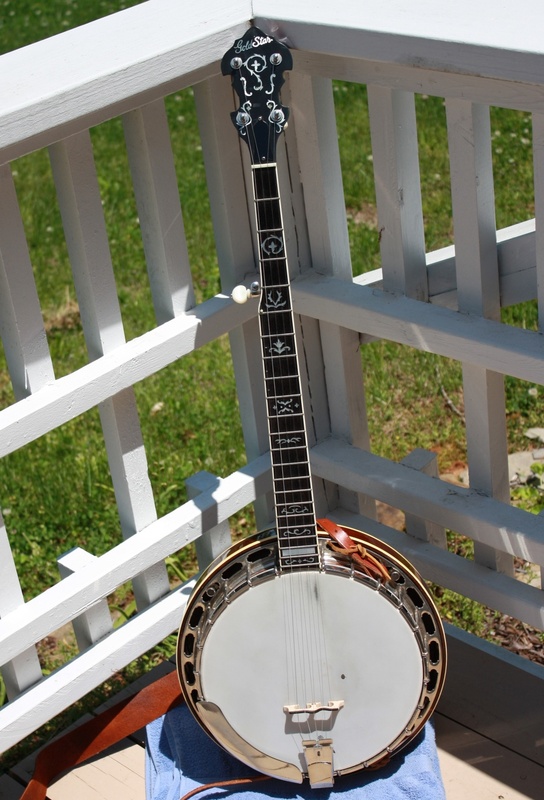 This particular banjo became available in 2013 from Arthur Hatfield – he had taken in on a trade. This instrument had been treated a bit roughly as far as the resonator is concerned and has small damage to one sidewall and the back had gouges into the finish. 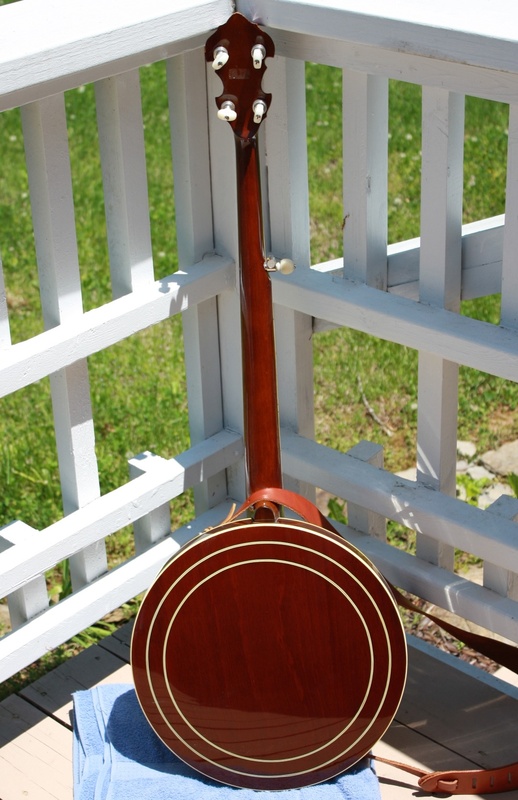 Arthur had the back refinished and the small damage to the sidewall is not significant enough structurally to harm tone or integrity of the resonator. The tuners have been updated to Gotohs and Arthur had added one of his long skirt 20 hole tone rings to this banjo for the previous owner. $ (Inquire for price) This banjo is no longer available through this website.